3 Beds 3 Baths 1 Partial Bath 2,272 Sq. ft. The Woodland subdivision is located in an established area of Jacksonville that enjoys the close proximity to just about any lifestyle , hospitals, and large corporations! Welcome Home! Located on a small cul-de-sac street in the new Woodland subdivision you will enjoy all the modern conveniences and comforts of a brand-new home without the wait of building new construction! From the moment you walk through the door you will be immersed into the close attention to detail, farm house style design and the many upgrades that surround. 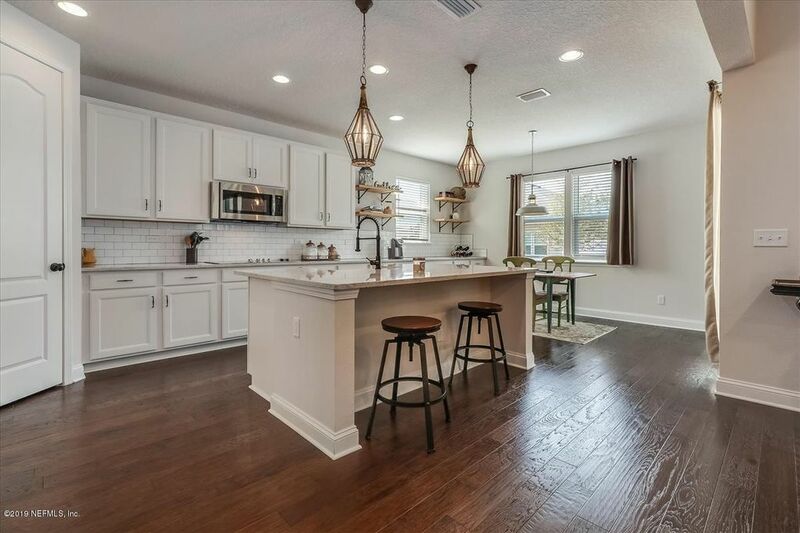 Completed in December of 2017, this one of kind home features an open floor plan with engineered hickory hardwood floors in living areas , gourmet kitchen with upgraded, extended, soft close cabinets, quartz countertops, stainless steel appliances, large cooking island with farmhouse sink ''apron front'' subway tile backsplash, custom floating shelving and beautiful antique light fixtures in breakfast nook and pendent light the over island. Deluxe master bath offers a frameless shower enclosure, neutral stone granite countertops with 4 backsplash, upgraded tile shower walls and subway tile around bathtub. From the 8' interior doors, interior baseboard package and water softener, the list of luxury upgrades goes on and on. See Feature list in documents. Directions: From J Turner Butler head North on Belfort Road. Turn Left on Herring Rd. At dead end take a Left onto Hillsdale Rd and the a right onto McCrone Way. Property will be on the left.